Umar Farouk Abdulmutallab, now 25, a Nigerian student who confessed to trying to blow up a US passenger plane headed for Detroit with explosives concealed in his underwear has been jailed for life. The bomb had allegedly caused a fire but failed to explode on a Delta Airlines flight carrying 289 people on Christmas Day 2009. 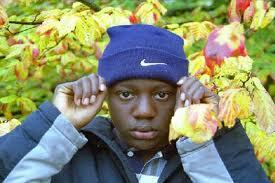 Abdulmutallab was eventually overpowered by passengers and crew on the Northwest Airlines flight 253 from Amsterdam to Detroit. The attack caused the US to tighten up both its ‘no-fly’ lists and airport security. The would-be suicide bomber and son of a prominent retired bank manager said he was carrying out the work of God against the “oppressors” of Muslims. The Nigerian became radicalised during a series of trips to Yemen where he met the cleric Anwar al Awlaki , part of al Qaeda‘s Yemen-based wing. He travelled to Yemen in 2004 where he enrolled at the Sanaa Institute for Arabic Language. A former teacher said Abdulmutallab was not deeply religious when he arrived in Yemen in 2004 but became a devoted follower of Islam. Abdulmutallab stayed in Yemen for a year between 2004 and 2005 before returning for another stay from August 4 to September 21 in 2009. He claimed he stayed with Awlaqi and spent two weeks preparing at a training camp where he “received instruction in weapons and indoctrination in jihad”.